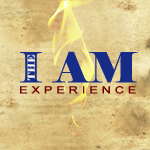 In Part 3 of the I AM Experience we continue our discovery of the manifestation of the Divine Nature. In this session we cover the idea of I AM a CSI or Crime Scene Investigator. It is difficult to see what the manifestation of Christ Conscienceness is, and even looks like; without first covering what it IS NOT! A good CSI will not only go back to the scene of the crime, but try to reconstruct the scene to give some clues as to what actually happened during the crime. The crime that was committed was the disobedient act of Adam. We journey to reconstruct the scene of the crime so as to figure out this 'who done it' to humanity. The aching question still remains...."Who told you that you were naked?" This question is yet to be answered!